Follow Chess (Android) is now faster and better! 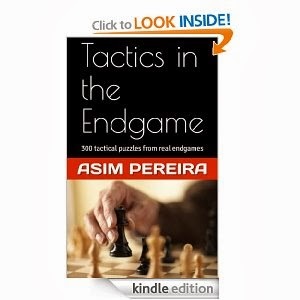 Although its not a very big release; its an important one! 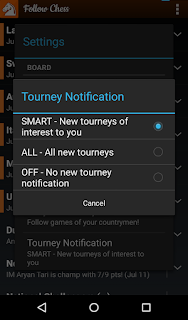 New Tourney Notification - The App will now automatically notify you when a new tourney starts, so you don't have to keep checking for your favorite Chess tournaments. 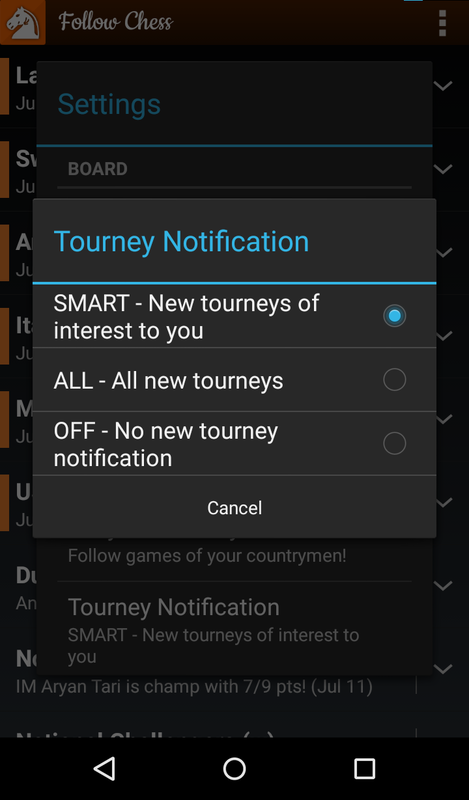 The App smartly notifies you of tournaments which may be of interest to you (default Setting). However, you can always change this behavior from the App Settings, and choose to either receive ALL new tourney notifications, or none! All your purchases and subscriptions are available for use on multiple Android devices (linked with the same Google account). You DO NOT have to purchase again on other Android device. If you have already purchased the Pro version (either monthly, yearly or lifetime), the Follow Chess App on your other Android devices should also automatically convert to Pro for that duration (monthly, yearly or lifetime). However, sometimes it takes time for Google to sync this purchase information. If you still see Ads or free version, please restart your device. This helps the App get latest purchase information from Google. PS. 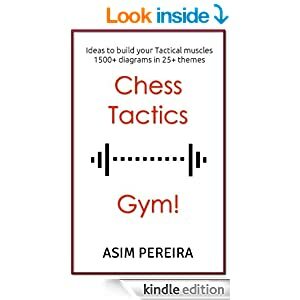 Follow Chess tries its best to cover as many international tournaments as possible. This in turn means more recurring Server charges. There are also many cool features (past, present, future!) that take a lot of time and effort. This is the reason for the change in the billing model, compared to the previous version of Follow Chess. Special thanks to Sathish S for his help with this version.